The six days of the 1967 war were the most important — triumphant, even — in modern Israeli history. But after 50 years, Israel is still struggling with them. Jews took control of Jerusalem for the first time in two millenniums. Israel went from fully fearing for its survival to controlling more land than it had dreamed of. But the accidental war and stunning victory also made Israelis occupiers. For with that land — the urban villages of East Jerusalem, the sprawling hills and metropolises of the West Bank, the concrete density of the Gaza Strip — came people: Palestinians now numbering more than 4.5 million. Egypt closed the Straits of Tiran, a crucial shipping lane for Israel in the Red Sea. 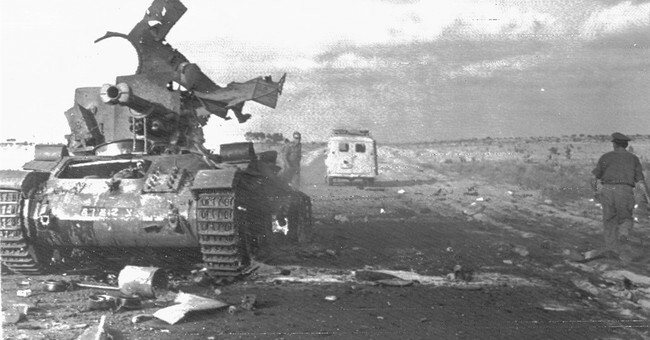 With Arab armies clearly preparing to attack, Israel struck first, and took out nearly the entire Egyptian Air Force in one day. Jordan — which had taken control of Palestinian areas west of the Jordan River, including East Jerusalem, during the 1948 Arab-Israeli war and annexed them two years later — joined in the 1967 fight but was quickly pushed back. Yeah, closing down key shipping lanes and making preparations to attack really seems like this was an accidental conflict between Israel and her Arab neighbors. It was an appropriate act of self-defense on behalf of Israel. Period. Even the BBC noted that the tensions from the Arab humiliation from their 1948 defeat, along with Israel’s being keenly aware that they were surrounded by tens of millions of people who wished for their destruction, made it clear that another war was coming.